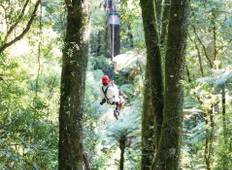 Find the best 10 day tours and trips starting from Auckland. Choose from 30 tours - we've found the most popular time to visit is in October with the most number of tour departures. "10 nice days to discover the north island"
"This tour was amazing! Had a great time exploring New Zealand and made some really..."
"My recent New Zealand trip was better than i expected! Susie was an amazing tour..."
"The trip exceeded all expectations, the group and the driver become a dysfunctional..."